We have an event coming up this Saturday at the Chiefs that will benefit our league. 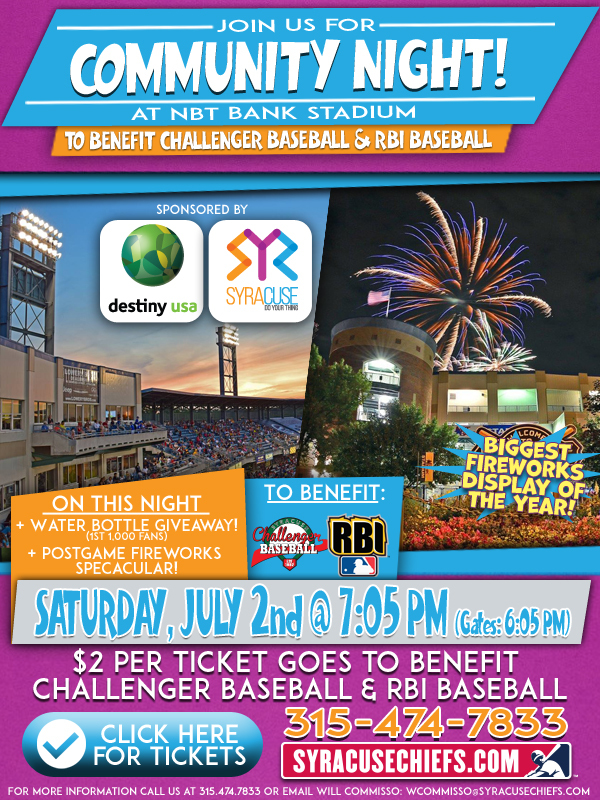 $2 from every ticket will be going to Challenger and RBI (an inner city baseball league). We hope you will attend and bring friends and family. Plus it is Fourth of July weekend and the fireworks at the stadium are the BEST! Make sure you buy your tickets early and wear your Challenger garb!